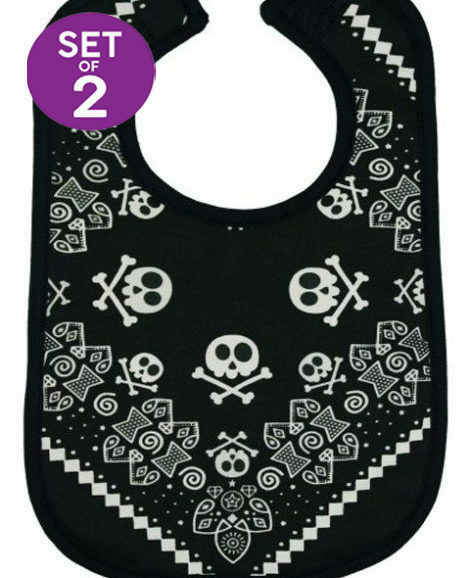 View basket “2 Super Cool Black Rock Star Baby Bib” has been added to your basket. 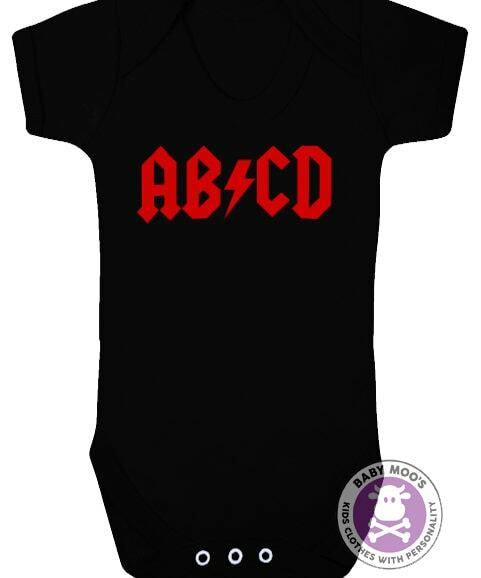 Rock baby grow for the baby born to rock! They’d like to invite Mum & Dad as their special support act in their all night show! 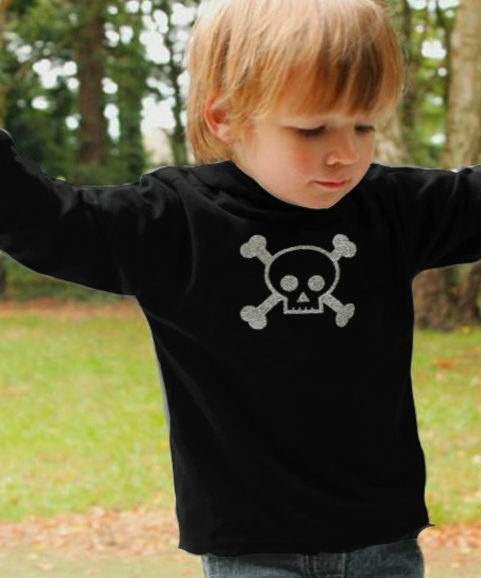 Soft black cotton rock baby grow, easy to wash & soft to wear. 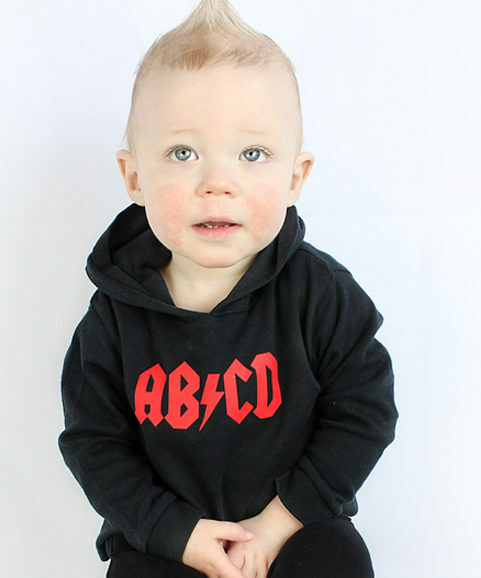 3 snaps to crotch & envelope neck for easy dressing of the baby rock star. 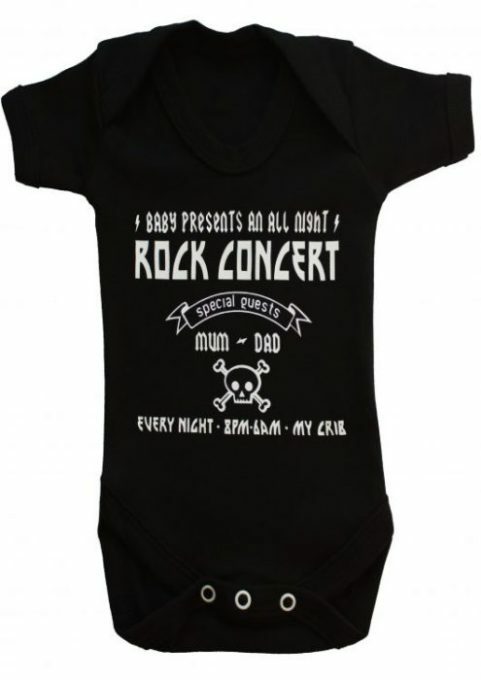 Vibrant white print to baby vest styled as a novelty rock concert poster. 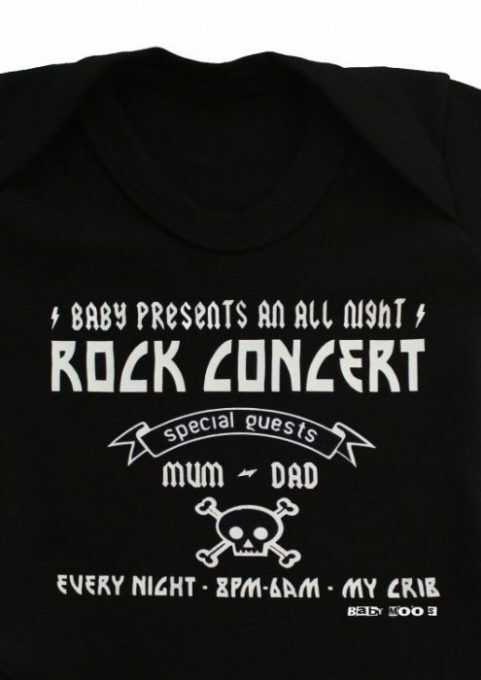 Print reads ‘Baby presents an all night ROCK CONCERT, special guests Mum & Dad, every night, 8pm-6am, my crib. 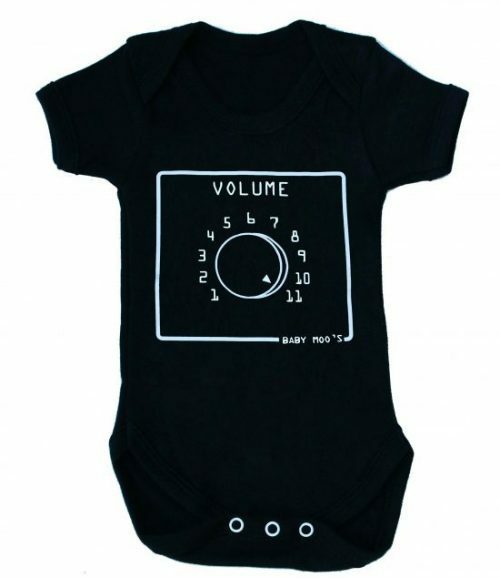 A funny rock n roll baby gift idea for baby rock stars. 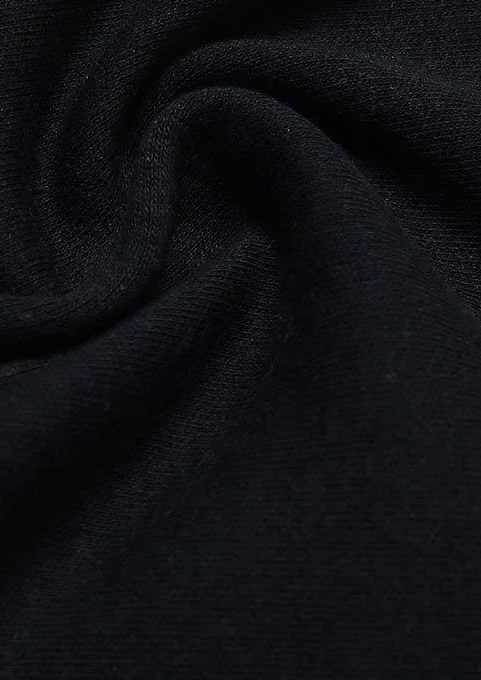 A Baby Moo’s design & Made in UK ensuring supreme quality. 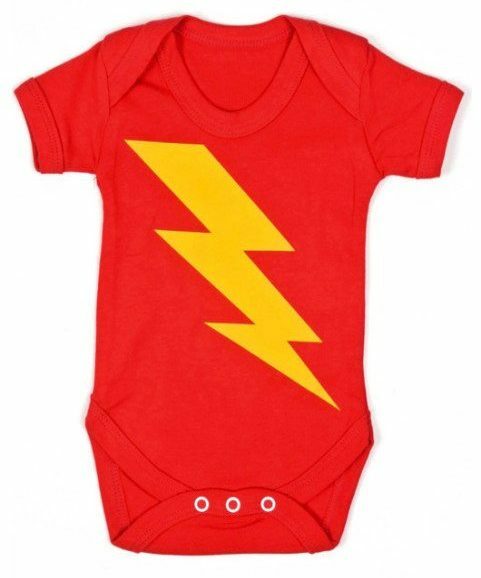 Sizes 0-3 months, 3-6 months, 6-12 months, 12-18 months. 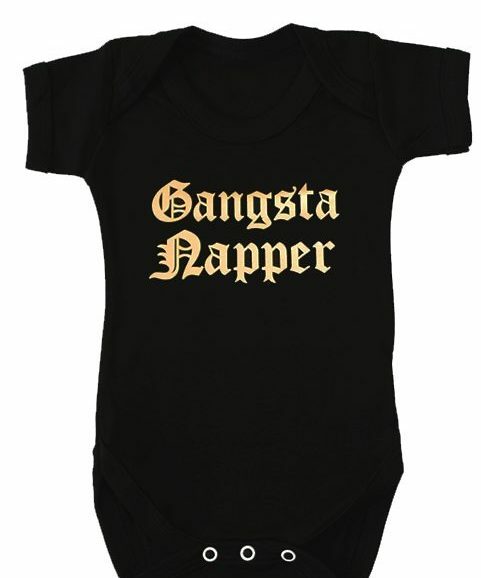 I had received this one of a kind baby grow and had to get it for me and my Hubby’s first baby be born 6th December and is boy I’m 23 weeks and came across your website and loved your baby grows as they are unique and my husband used to be a guitarist in a band and we both love rock music and thought was perfect. Just like to thankyou for your speedy service! The baby grow I bought ‘baby’s rock concert’ is brilliant.